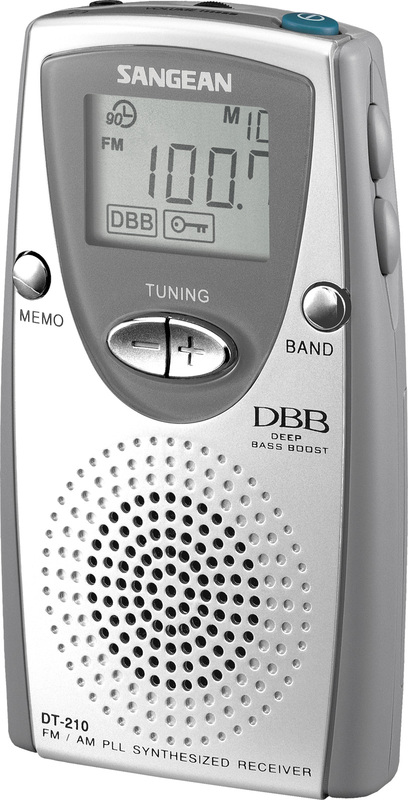 The DT-210 is another top performing Walkman-type pocket portable radio (primarily designed to be used with ear buds), but it also includes a built-in speaker which on occasion can be very handy. 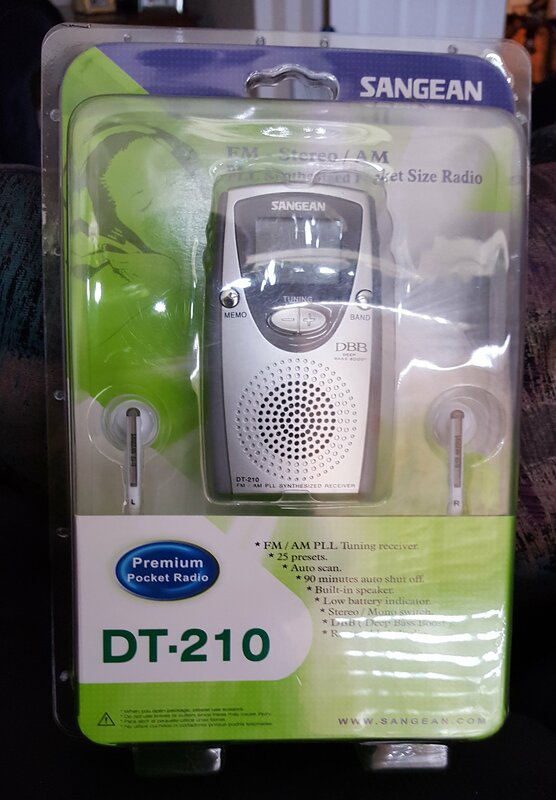 I was especially curious to check it out because the already-available DT-160 has become one of my favorite radios in this category (the other being the C. Crane CC Pocket). I was especially curious to see how these two units compared, because they seem to be almost the opposite of each other when you compare their design and features, and each model seems to have some advantages over the other, yet their street prices are very close to each other – about $35 – $38 as of this writing. It was not at all clear if either one is considered by Sangean to be “better” than the other…it would appear they are quite different yet possibly equal overall…an interesting situation. I wondered if one would seriously outperform the other in some ways. Initial comparisons revealed many differences between the DT-160 and the newer DT-210. The most obvious difference is that the DT-210 has a built-in speaker while the DT-160 doesn’t. It also has a rotating thumbwheel top-mounted volume control rather than the electronic Up/Down volume control of the DT-160. The DT-160 uses a DSP (Digital Signal Processing) tuner while the DT-210 has a traditional PLL (Phase Locked Loop) tuner. The DT-210 runs on two AAA cells versus the two AA’s of the DT-160. The DT-210 boasts 25 station presets while the DT-160 offers 15. The DT-160 features an illuminated display and a clock while the DT-210 doesn’t. Finally, the DT-210 offers double the audio power output according to Sangean’s specs, 2mw per channel versus 1 mw per channel. Based of features alone neither is clearly superior to the other. In other ways, the two units are similar. Both feature a Dynamic Bass Boost feature, Stereo/Mono switch, a lock switch and a defeatable auto shut-off timer, both cover the standard AM/FM broadcast bands and the AM is settable for 10/9 KHz channel spacing, and they are just about identical in size and street price. They are both supplied with identical Sangean earbuds. This presented me with a very interesting comparison. After all, it seemed that the set of features and the basic tuner and amplifier design were as different as night and day, and with very similar pricing, how does one choose between the two? Is one better than the other? I am happy to report that the DT-210 behaved identically to the DT-160 in this very severe test. It illustrates a point many of us tend to overlook – although the type of circuit used is important, how well it is implemented can be just as important. After all, between a DSP tuner and a PLL tuner there should be differences, but the proof is in the pudding…their FM reception seemed identical (and excellent) in these very severe real-world comparisons. *The DT-210 comes with a “dummy” antenna wire which is plugged into the earphone jack to improve FM reception on weak signals when you’re not using the ear buds. However, since the AM antenna is a ferrite rod built into the radio you don’t need to do this for AM listening through the speaker. 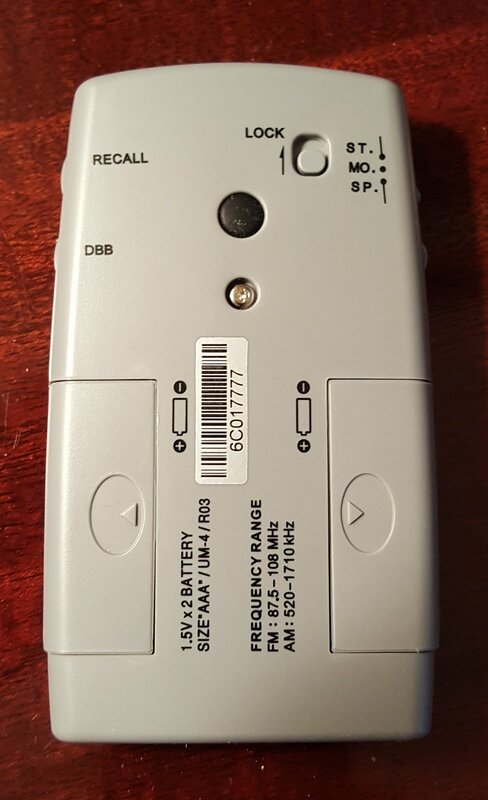 The CC-Pocket and older Sangean DT-400W have the same arrangement). AM reception also seemed identical…again a bit surprising The AM on all such pocket portables is limited by the tiny size of the built-in AM ferrite rod antenna but the DT-210 seemed identical to the DT-160, even on signals so weak and crowded one would not usually listen to them on such a pocket radio. Given their tiny size their AM was as good as it could possibly be. Sound quality showed some very subtle differences but again they were so small as to be difficult to pin down. On a quick listen, there didn’t seem to be any difference at all, but the longer I listened I found the DT-210 sometimes seemed a bit nicer to me with a slightly more extended, open sound. The included earbuds sounded fine to me with a natural frequency response and generally satisfying sound with plenty of volume capability. I also used some different ear buds of the noise blocking type…the kind that seal the ear canal to keep external sounds out. I used these buds to compare the two radios together and found that with them the two radios again sounded very similar. There was one difference though- when I engaged the Dynamic Bass Boost I preferred the sound of the DT-210 over the DT-160…it seemed that the curve of that Bass Boost was slightly lower in frequency on the DT-210 and did not cause the mid-bass hump I heard on the DT-160. Again, not a huge difference and with different ear buds the comparison could have been reversed. In the end, I have to say that they sounded very slightly different but your choice of ear buds will have a far more profound effect on the final sound you hear than the small differences between the two radios. And again, sound with the supplied ear buds was great. So how do you choose between them? I would say the choice between the DT-210 and DT-160 (and the CC Pocket) would depend mostly on their different features rather than on performance differences which were small or non-existent by comparison. Of course, the inclusion of a built-in speaker on the DT-210 may be the biggest issue for some users…it’s a nice feature to have. Other differences include the standard top-mounted thumbwheel volume control of the DT-210 versus the Up/Down electronic volume control of the DT-160. 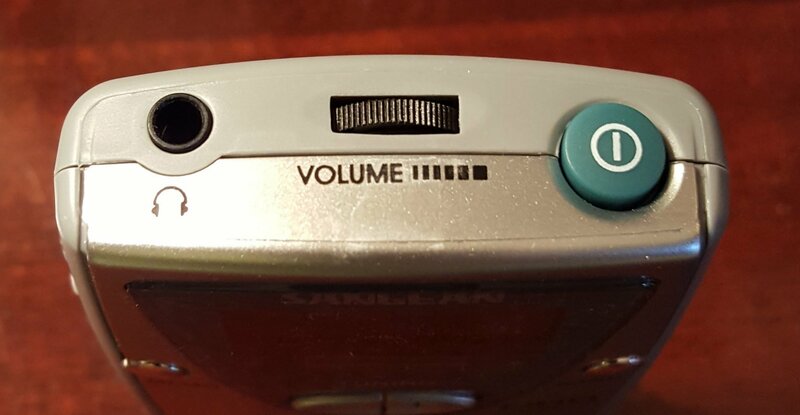 Note that the Lock Switch locks the volume control as it does all the other controls on the DT-160 while the volume can still be changed when the DT-210 is locked. This can be viewed as a plus or a minus depending on your personal preference and how you use the unit. I like the repeatability of the numerical volume settings on the DT-160 but when I’m mowing the lawn with the locked unit in my pocket it is nice to be able to reach in and change the volume when I want to…it doesn’t seem to get accidentally changed as it sits atop the radio. But others may view this differently. Conclusion: The good news is that both the DT-160 and newer DT-210 are top-notch performers…as good as any earbud-designed pocket portable I have tried. This means you can choose based on the features you like and know that you will be getting great performance…excellent reception, sound and build quality. Sangean seems to have great quality control which is another plus.